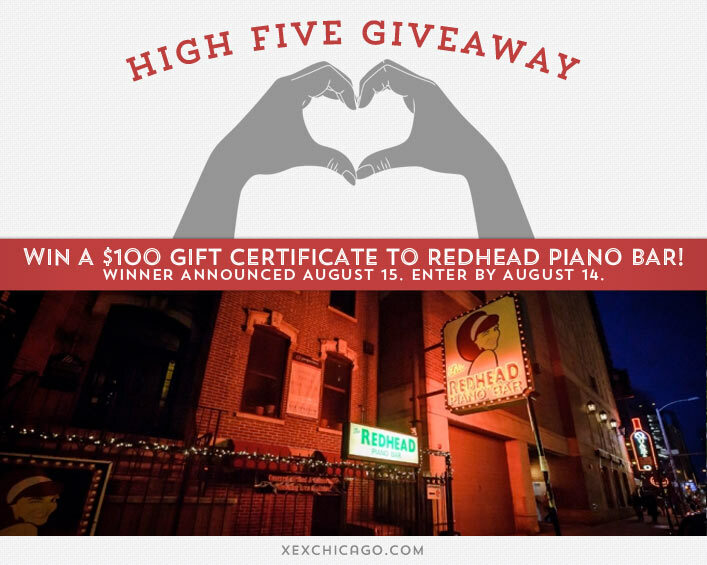 Win a $100 Gift Certificate to Redhead Piano Bar! Congratulations to Amanda Kim on winning our ninety ninth High Five Giveaway! Thanks to all who entered. For our next High Five Giveaway we have a $100 gift certificate to Redhead Piano Bar. What is the name of the organization that held a golfing event on July 31 that XEX participated in? The organization provides young people with character-building and life skills lessons using golf as the platform. Now, just add a comment to this post with the right answer to be eligible to win! The winner will be announced on Friday, August 15. Enter by midnight on Thursday, August 14! The First Tee of Greater Chicago! The First Tee of Greater Chicago.